The passing of a family member can be a difficult time emotionally and financially. Many people would like an opportunity to grieve their family without the difficulty of Family Trust issues and dealing with the financial standing of a loved one. However, the passing of a family member often brings issues to the forefront that can cause disputes between the people left behind. Although the optimal result for most family members would be to avoid these situations, unfortunately, this is not always the case. Finding yourself in this sort of situation can cause unnecessary anxiety, yet there are always ways to overcome it. This post aims to help you see alternatives if you find yourself in an awkward situation around a loved one's inheritance. In the case of being assigned as a trustee, it can often be difficult to foresee an impending dispute. Disagreements over a trust or an estate can often come from nowhere, yet when they do arise it is important to act quickly before positions on both sides harden. It is encouraged to meet regularly with the other party to ensure protection on both sides. To preserve family relationships when few people are thinking clearly, it is important to consider all the risks of litigation. Although mediation and legal disputes may be a great option to ensure you get the best deal, it is important to consider the emotional state of all parties involved. The loss of a loved one can often send emotion flying high, and see irrational thinking from all parties. Before taking legal actions, it is important to discuss any issues with family members involved. If this form of compassionate communication fails, further action can be considered. Often disputes can be resolved through mediation. Mediation allows an opportunity for both parties to sit down and negotiate their rights in front of employed lawyers or professional mediators. If mediation proves to fail, a high court may step in a review a trustee’s actions, and require justification for anything they have acted on. 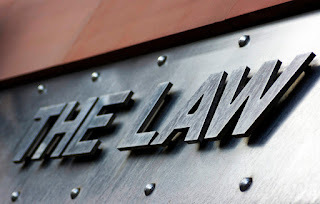 If the trustee is proved to be unfit for the role of administering a family trust they may be removed from their duties through force, and the court will assign a new trustee. For someone with no legal background, one can wonder how disputes are settled between trustees and beneficiaries. Legally, administrators, or trustees, are given the power to act under the terms and best interests of the deceased. It is often stated in most wills that the trustee, or beneficiary, is to act unanimously under the wishes of the person who has passed. Despite some wills considering preconceived resolutions to certain disputes, many do not. In the case of no preconception of a dispute, it is best to employ lawyers to help with the conflict. Lawyers in Charlotte NC specialising in trust issues can help receive the desired results, regardless of what side they are employed on. Although legal disputes between family members are preferably avoided, there can be times when they cannot be avoided. Having a professional work for both parties allows for a fair decision to be made. Having someone else act in the best interest of the deceased can be overwhelming, but it is important to remember that professionals will always ensure the best result.